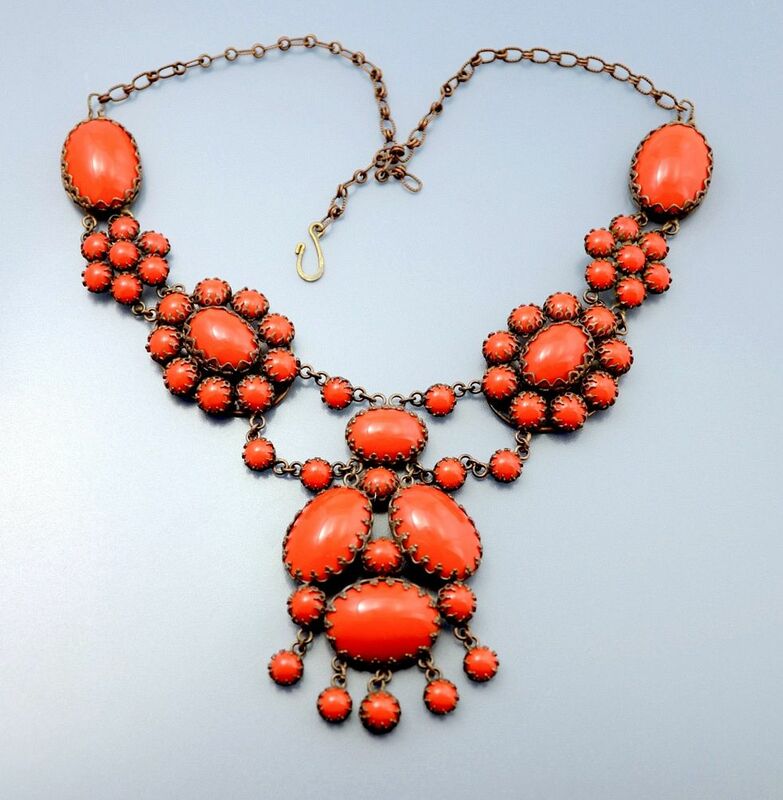 This very stylish bronze tone metal and faux coral glass cabochon necklace is probably made in the 1960s -70s. It is composed of a series of faux coral glass cabochons set singly and as rosettes leading to a large drop made of three large faux coral glass cabochons and four small faux coral glass cabochons with five faux coral glass cabochons suspended from the drop. The faux coral is mounted in bronze tone metal with a bronze tone metal chain section ending in a hook fastener. The necklace is adjustable. Although it is not signed it is extremely well made and is a very understated statement piece!